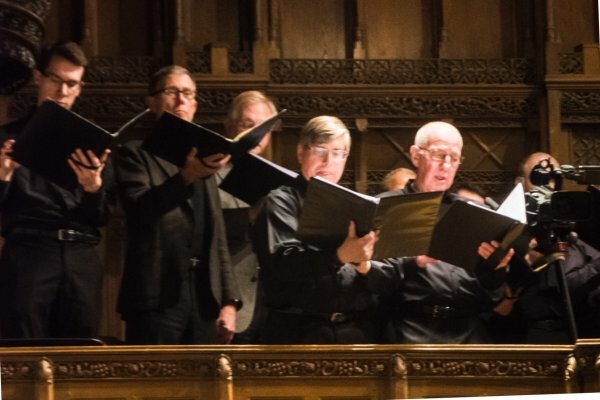 We perform this beautiful program of sacred music with the Fourth Church Choral Society comprising an eighty member chorus, directed by John W. Sherer, organ, chamber orchestra and soloists. 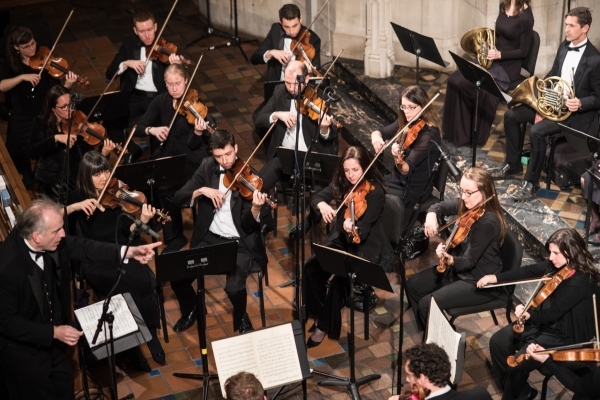 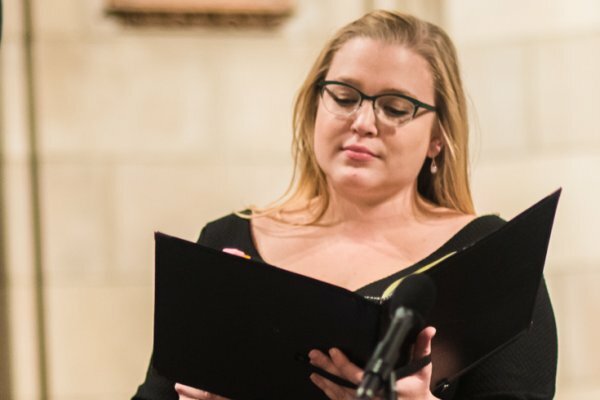 Conducted by Drostan Hall, this performance marks the first anniversary of Camerata Chicago’s appointment as Orchestra-in-Residence at Fourth Presbyterian Church. 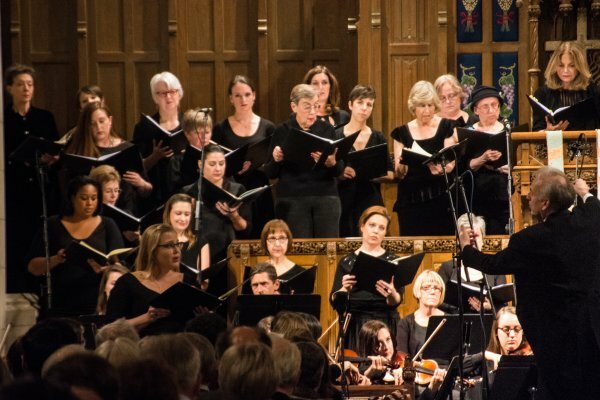 Watch our video highlights of the Mozart Mass in C Minor performed with the Fourth Church Choral Society on November 11, 2016. 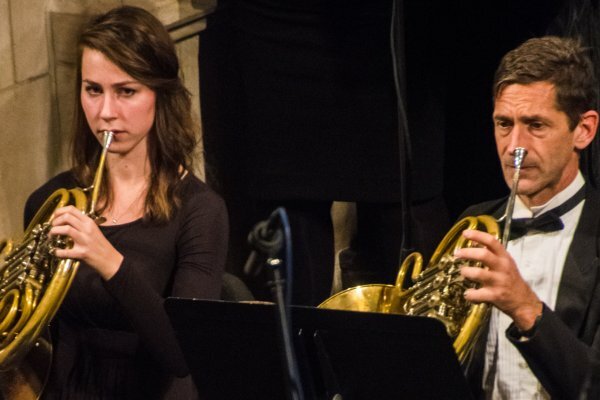 See a slideshow of great photos from last year’s event. 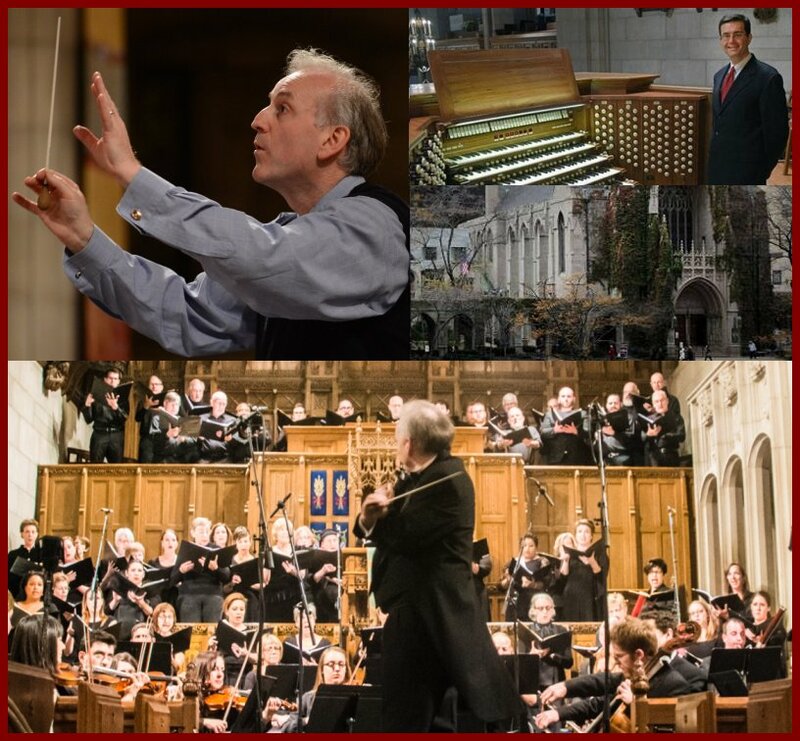 This concert will take place in the Sanctuary. 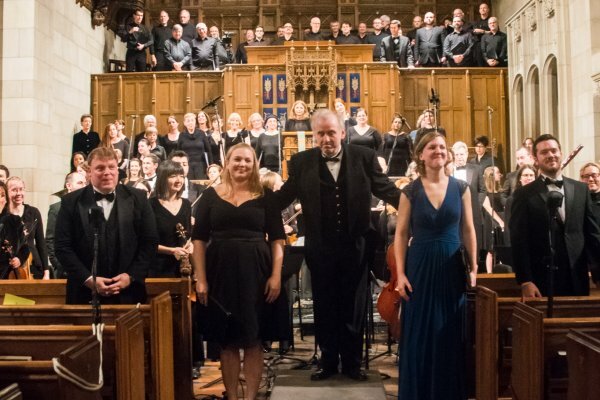 Camerata Chicago and Fourth Church Choral Society. 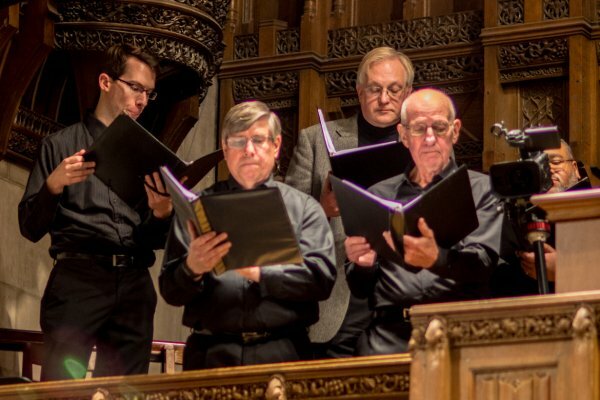 Mozart Mass in C Minor, November 11, 2016. 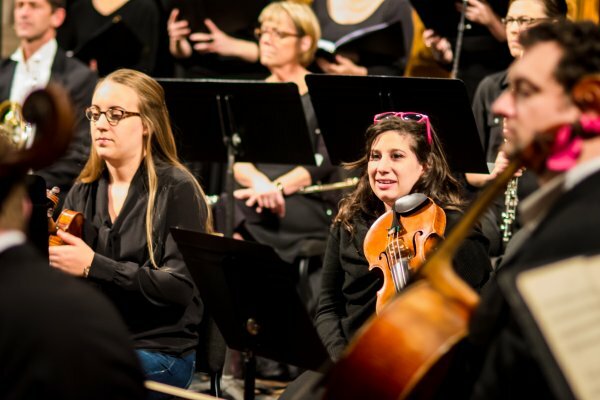 Photo by Lydia Hoover. 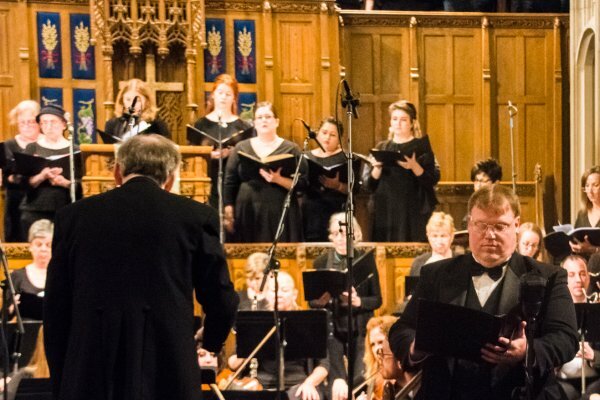 Camerata Chicago and Fourth Church Choral Society. 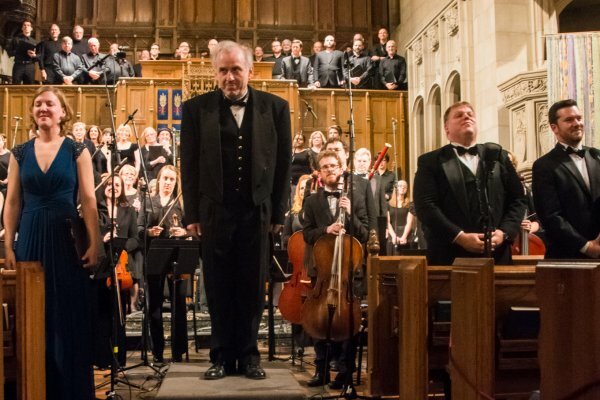 Conducted by Drostan Hall. 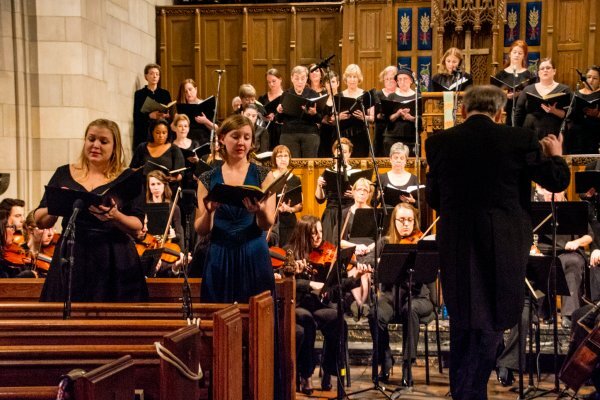 Mozart Mass in C Minor, November 11, 2016 Photo by Lydia Hoover. 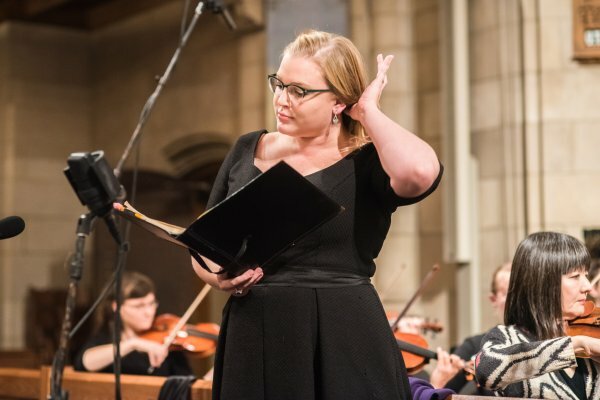 Soprano Laura Perkett with first violins. 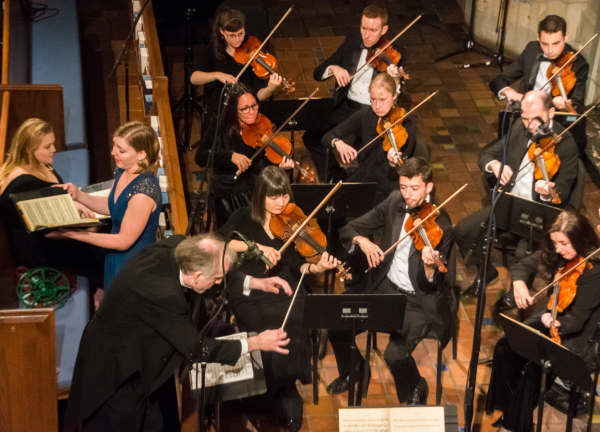 Mozart Mass in C Minor, November 11, 2016 Photo by Lydia Hoover. 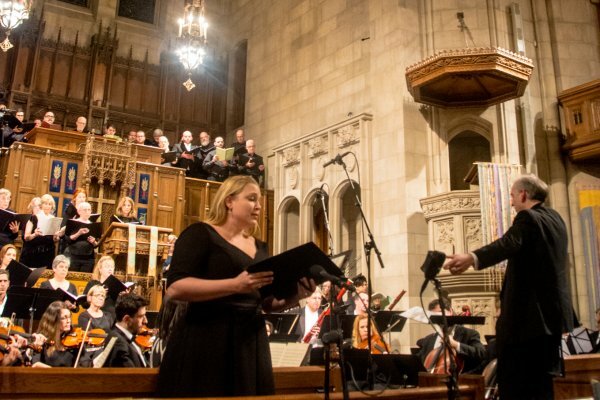 Mozart Mass in C Minor, November 11, 2016 Photo by Lydia Hoover. 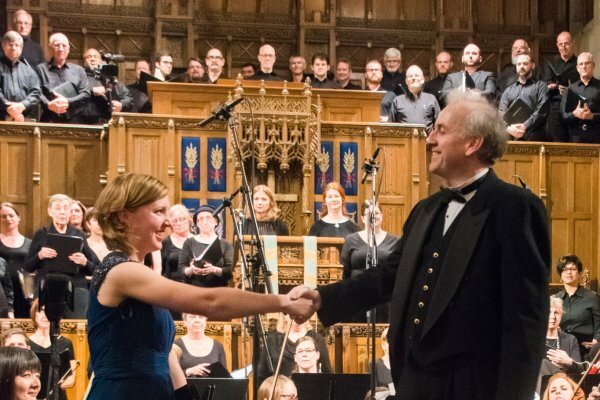 Soprano Laura Perkett and Conductor Drostan Hall. 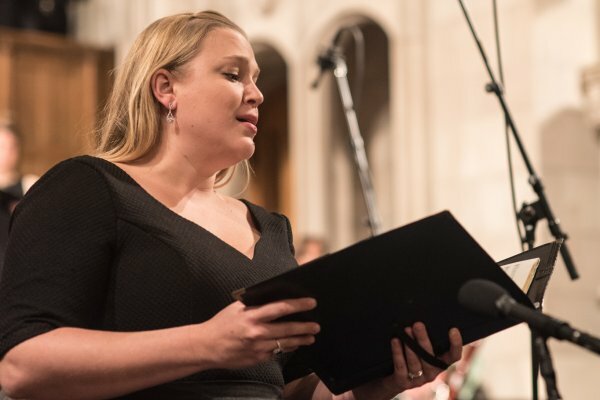 Soprano Kimberly Gunderson. 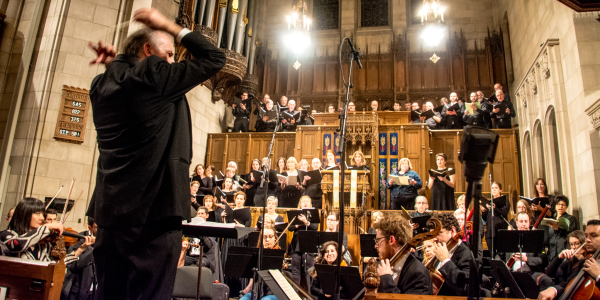 Mozart Mass in C Minor, November 11, 2016 Photo by Lydia Hoover. 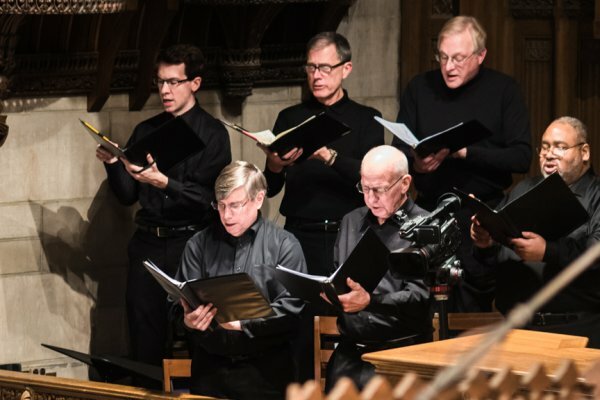 Camerata Chicago. 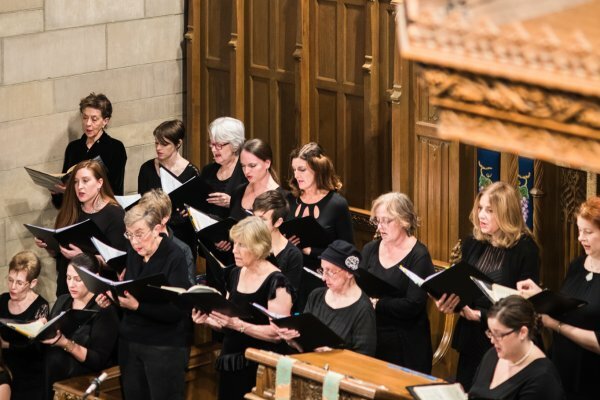 Mozart Mass in C Minor, November 11, 2016 Photo by Lydia Hoover. 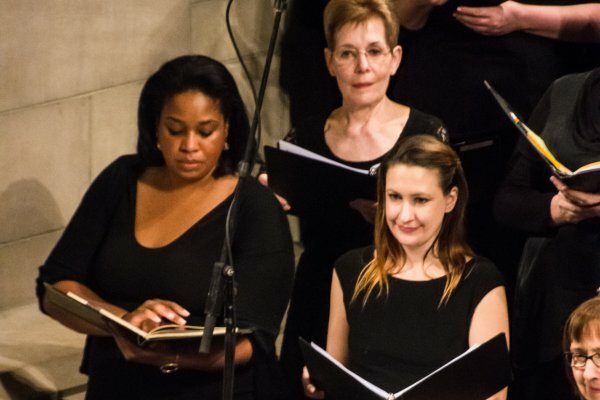 Sopranos Kimberly Gunderson and Laura Perkett. 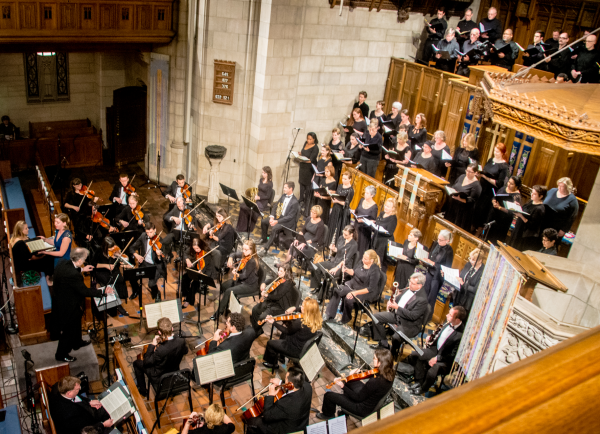 Mozart Mass in C Minor, November 11, 2016 Photo by Lydia Hoover. 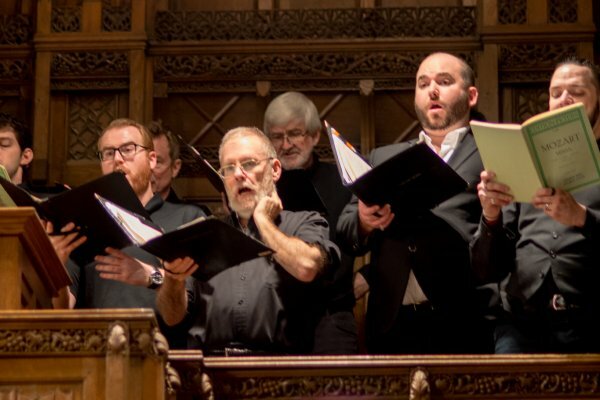 Tenor Cole Seaton and Bass Dan Richardson. 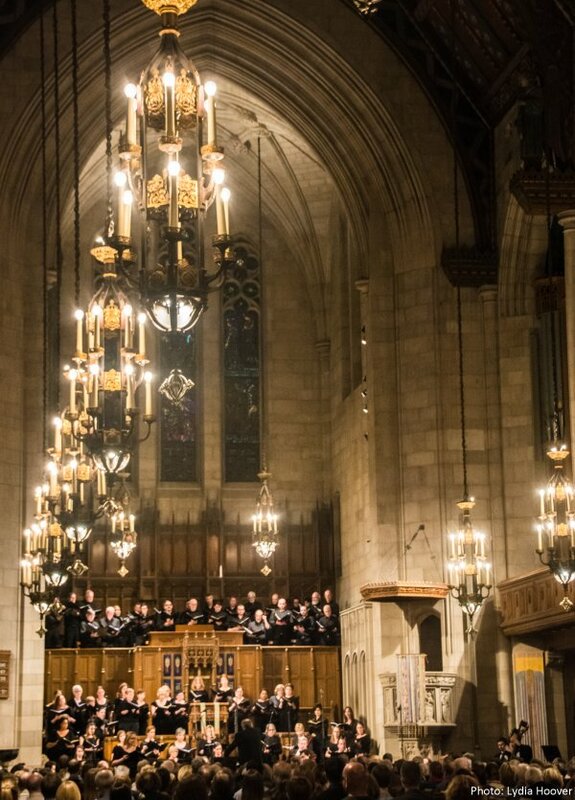 Mozart Mass in C Minor, November 11, 2016 Photo by Lydia Hoover. 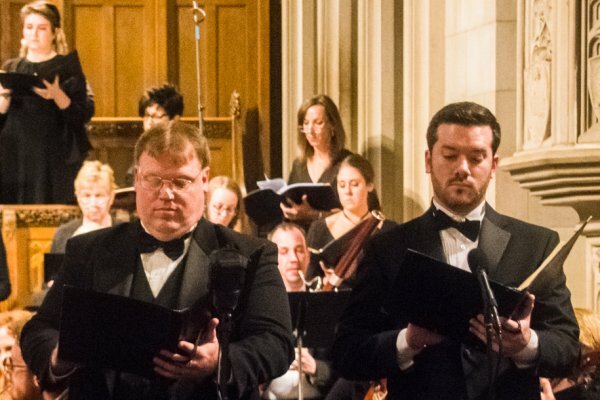 Tenor Cole Seaton, Soprano Kimberly Gunderson, Conductor Drostan Hall, Soprano Laura Perkett and Bass Dan Richardson. 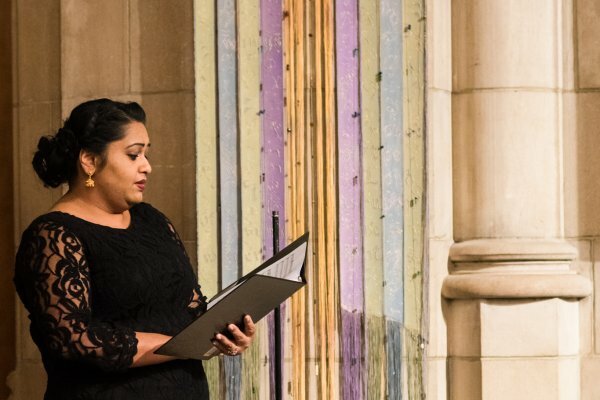 Mozart Mass in C Minor, November 11, 2016 Photo by Lydia Hoover. 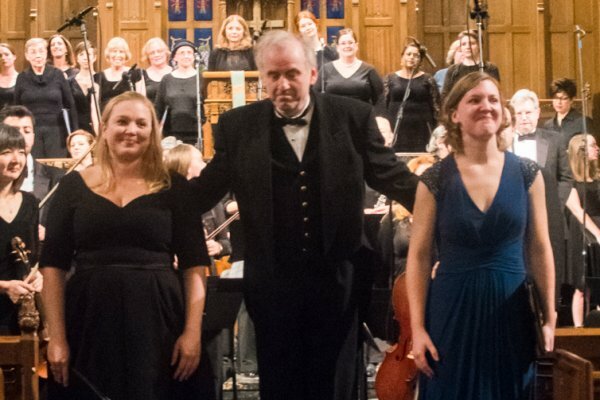 Soprano Kimberly Gunderson, Conductor Drostan Hall, Soprano Laura Perkett. 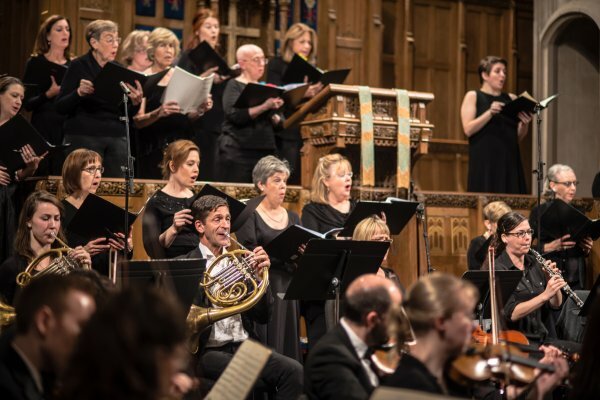 Mozart Mass in C Minor, November 11, 2016 Photo by Lydia Hoover. 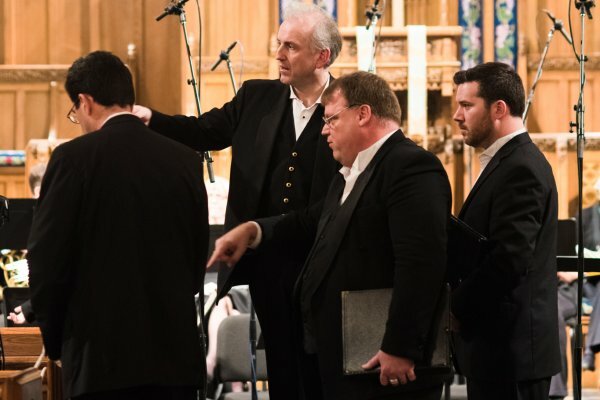 Conductor Drostan Hall in conversation with Tenor Cole Seaton. 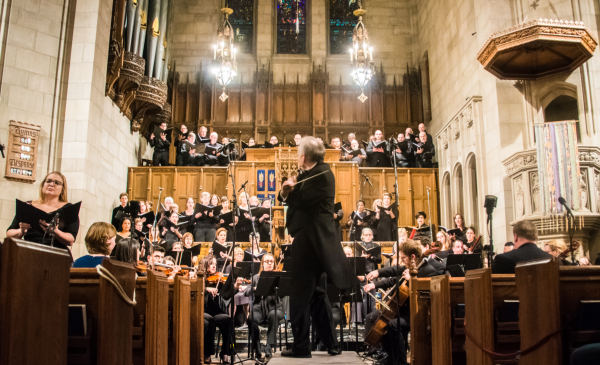 Mozart Mass in C Minor, November 11, 2016 Photo by Lydia Hoover. 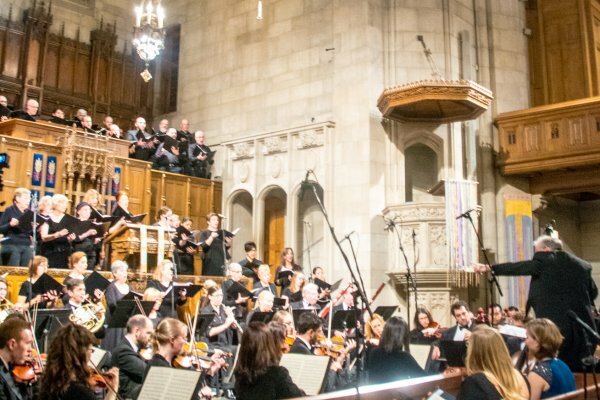 The Mozart C Minor Mass performed by Camerata Chicago with the Fourth Church Choral Society on Friday November 11, 2016 conducted by Drostan Hall. 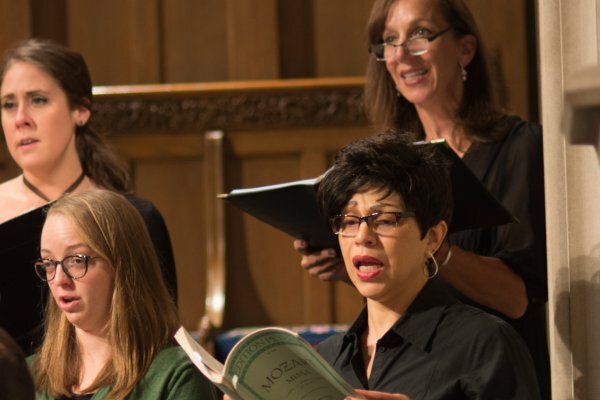 This concert is in memory of Lois Z. Jackson Farnsworth 1924–2016. 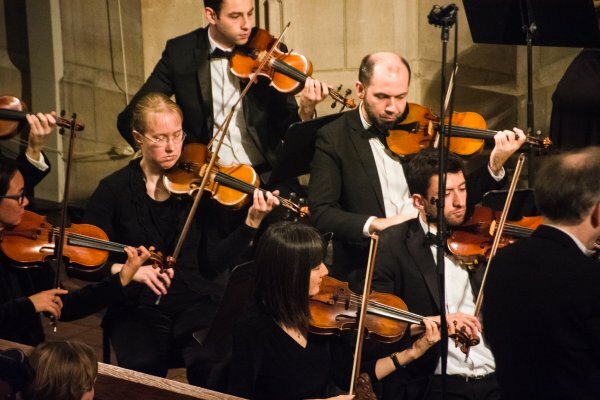 This performance is a collaboration with Fourth Presbyterian Church, Chicago and celebrates Camerata Chicago’s appointment as Orchestra-in-Residence. 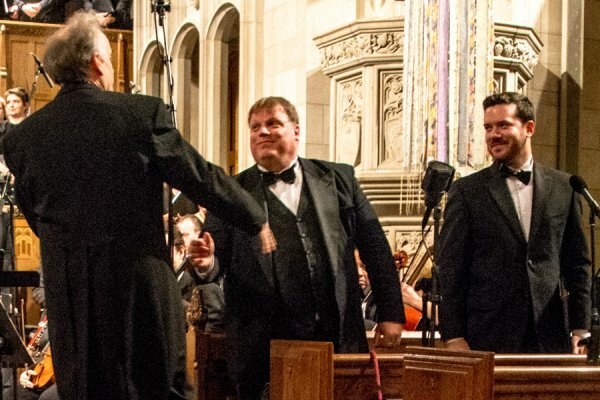 At the heart of the Fourth Church Choral Society are members of the Chicago Symphony Orchestra Chorus and Lyric Opera, directed by John W. Sherer.